Construction officially began Wednesday on a $200 million retail center at a vacant lot that has been mostly empty since the 1992 Los Angeles riots, with the groundbreaking taking place on the 23rd anniversary of the start of the unrest. City Councilman Bernard Parks joined developer Sassony Properties to break ground on the Vermont Entertainment Village project at Vermont and Manchester avenues on the former site of an indoor swap meet that was destroyed by a fire during the riots. It’s taken “23 years to replace something that was burned down during the riots,” Parks said. The lot has been primarily empty, with the exception of a shoe store and eye doctor building that was built on a small portion of the site. The planned retail and entertainment center will cover two blocks and about 190,000 square feet once completed in the winter of 2016. 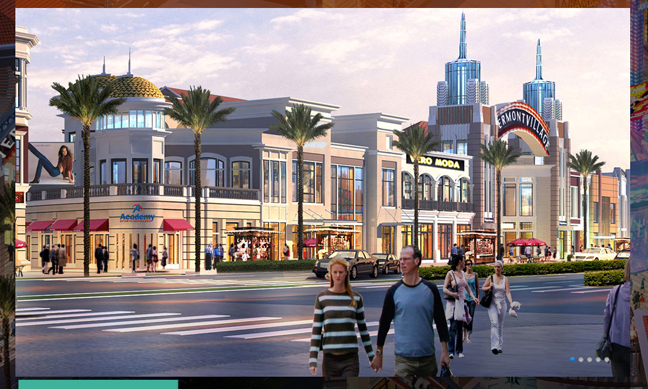 It is expected to include restaurants, shops, a pharmacy, grocery store and a movie theater. Parks was a deputy chief of the Los Angeles Police Department during the riots, which broke out after four police officers who were videotaped beating up Rodney King were acquitted of assault by a jury in Simi Valley. They were later convicted of federal charges. “I hope other people will come to invest in this community,” developer Eli Sassony told ABC7. A resident of the area told the station he was happy to see the development begin.